Please find here below the press release from BHOOMI – a Forum for Protection of Land in India (FPLI) opposing Land Acquisition Rehabilitation and Resettlement (LARR) ordinance. The solidarity group resolved on 22nd January 2015 at Visakhapatnam meet to call upon people of our country to oppose and resist the undemocratic Land Acquisition Rehabilitation and Resettlement (LARR) ordinance to take away the democratic rights of the farmers, tribals given in the Act 2013. The soul of the new Act was that the acquisition could not be done without consent of 80% land owners and Social Impact Assessment on which the public hearing was a must. But without consulting the public, people and organizations, and political parties and Parliament members the Union Government’s ordinance to end the democratic action of land acquisition process is nothing but to establish despotic corporate rule in our country at the cost of life and livelihood of millions of farmers, agriculture workers, Fishers, Adivasis and Dalits. Nagpur (India) 14 Jan 2015 The Week of Prayer for Christian Unity is an international Christian ecumenical observance kept annually between 18 January and 25 January. It is actually an octave, that is, an observance lasting eight days. The Week of Prayer for Christian Unity began in 1908 as the Octave of Christian Unity, and focused on prayer for church unity. 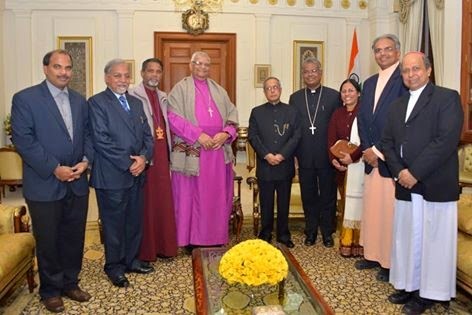 In India, each year, the Commission on Unity, Mission and Evangelism of the National Council of Churches in India facilitates the Indian Christian communities to come together for prayer, fellowship and witness during this time. This year, from January 18 – 25, 2015, with the theme “Water is Right – Water is Life”, the prayers will lead the water campaign with a more expansive focus to include water issues in the list of concerns for all people.